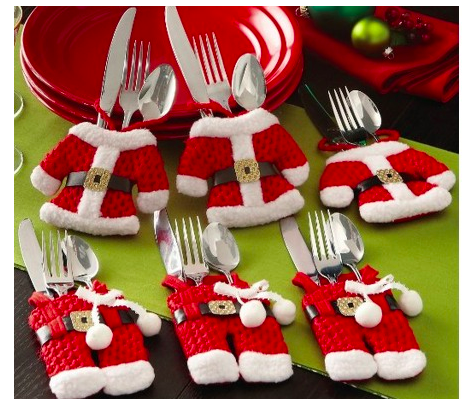 Santa Suit Christmas Silverware Holders Only $6.92 + FREE Shipping! You are here: Home / Great Deals / Amazon Deals / Santa Suit Christmas Silverware Holders Only $6.92 + FREE Shipping! Just how adorable would these be at your holiday dinner party! Right now, snag these Santa Suit Christmas Silverware Holders for only $6.92 + FREE Shipping!